Here’s my book review of The Art Thief: A Novel by Noah Charney. Noah Charney is a professor of art history and an expert in fine art forgery and theft. And in this novel he proves himself to be a sly spinner of detective yarn. The Art Thief is a tale of brain-teasing complexity involving multiple, interconnected forgeries and thefts of historic paintings from several institutions. And its resolution necessarily involves multiple detectives and forensic experts, each as colorful and eccentric in his own way as Inspector Clouseau. The victims – museum curators and aristo collectors – are a classier bunch who tend to both snobbery and hypocrisy – not the most admirable human beings. Classiest of all are the scheming thieves and forgers. You see, in today’s genre fiction, perpetrators of these presumably victimless crimes against the upper class have the cachet of winners at Wimbledon. Well played, chaps! In a previous generation, this place of honor was held by jewel thieves who connived to execute intricately plotted heists. Remember Cary Grant – never more dashing than in his role as John Robie in Hitchcock’s To Catch a Thief? Or Melina Mercouri and her artful crew in Topkapi? Along the way, Prof. Charney is going to teach you a lot about art history and criticism. And that’s even if you consider yourself well versed. He’s never happier or more entertaining than when his donnish characters tear off on rants to their dunderhead students about how to study paintings. And isn’t this just what the reader of a detective story must learn to do? Observe and deduce? The Art Thief is great fun, but my advice would be to keep a scratchpad handy. The plots, the players, the crosses and the double-crosses are so intertwined you’ll want to make a diagram to keep track. For Boychik Lit, I’m Gerald Everett Jones. 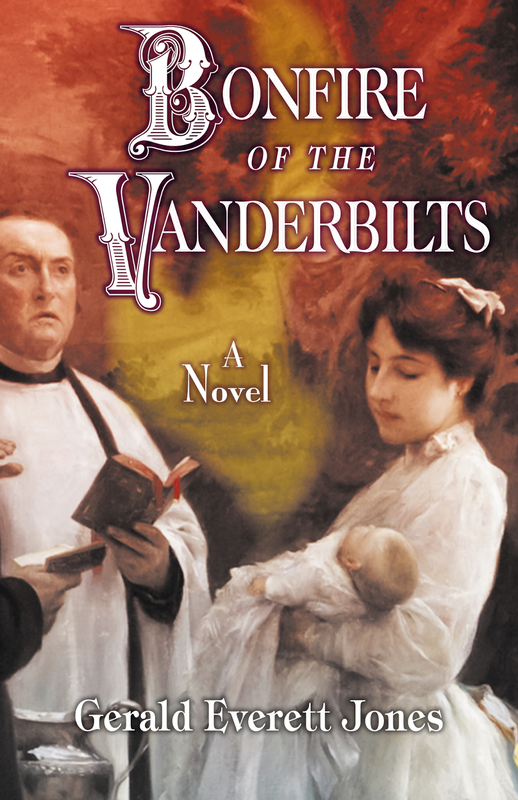 My new novel about an art scandal in 1890s Paris - Bonfire of the Vanderbilts – comes out in September. Barnes & Noble is taking advance orders. And by all means catch these podcasts at BoychikLit.com!